Question: There is a terrible noise coming from our pipes every time we flush the toilet. Should I be concerned? Answer: It’s time to call your Schenectady plumber! 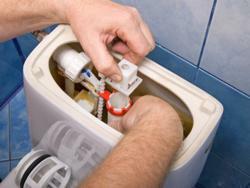 Your home’s plumbing should operate quietly. When you flush the toilet, all of the waste water and material should be quickly and quietly removed. Loud noises, especially noises you haven’t heard before, are a sign that something’s wrong. Call your Schenectady plumber! Having the problem fixed will get your toilet working quietly again!